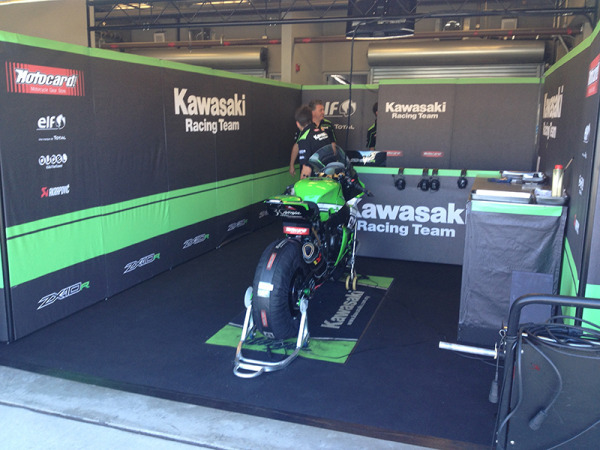 Just came back from the Laguna Seca WSBK 2014 round. Love racing at any level, so imagine at World level! Always very cool to see THE fastest "production" bikes in the world in action. The main sponsor (Salud and Casa) for the Moto 3 team at CEV Repsol that I work with, also does some sponsoring for Tony Elias in WSBK, they know each other well, so I had a chance to meet and chat with Tony, VERY nice guy! AND he did very well at Laguna! 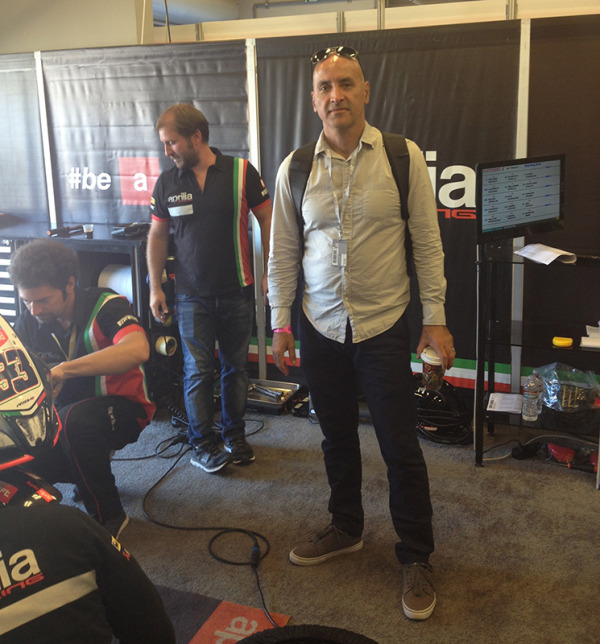 the Aprilia mechanics Saturday at a bar, thanks to our friend Michael Lee from Aprilia USA. and the mechanics in action after the warm up. 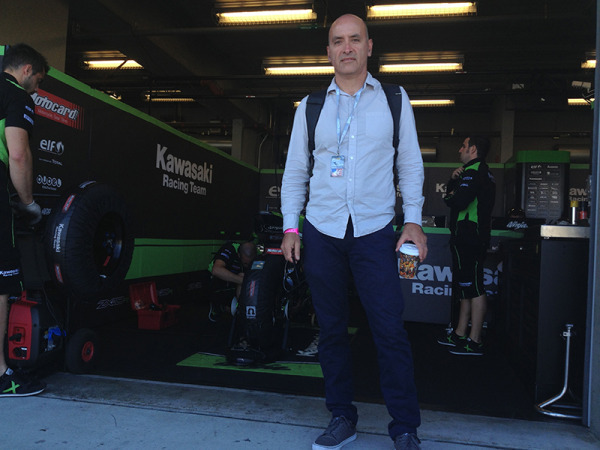 Also thanks to Guim Rioda, manager for the Kawasaki Factory team (Fingers crossed SMD does something with them next year! :), we got a chance to see their box. other ones, that just "roll" up. Still cool to me! 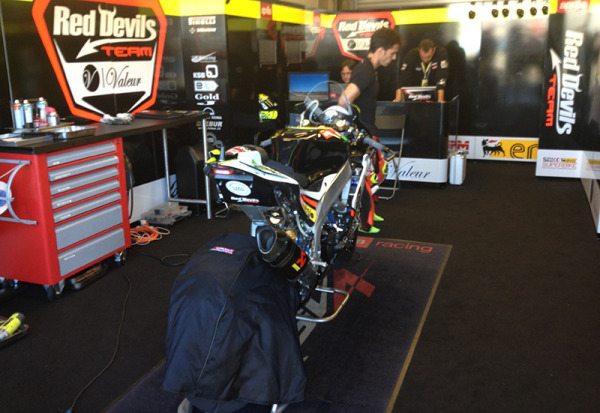 at Kawasaki (Some others were in the back), Here Loris was gettin ready for the race.